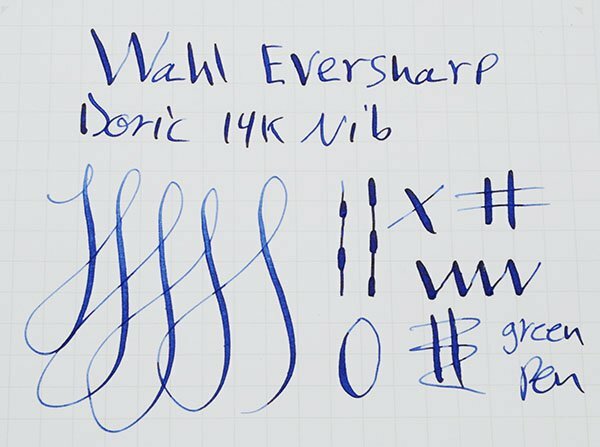 First version of the Wahl Doric fountain pen with a lever system. 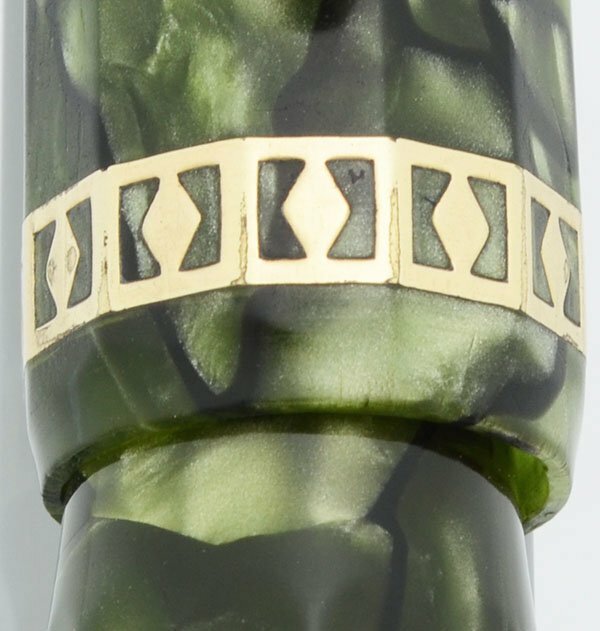 This is the non-Gold Seal Kashmir Green version with 1/8" wide cap band and is faceted. 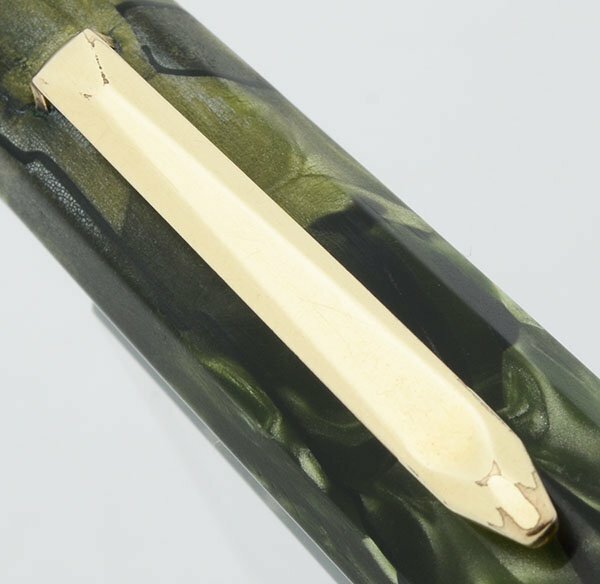 A flexible fine Eversharp Signature nib is installed. Very nice condition, fully restored and working well. Product Name Doric I, we are calling it a "I" because the first version came in different colors and used a different filling system. This is a less upscale version without the Gold Seal. 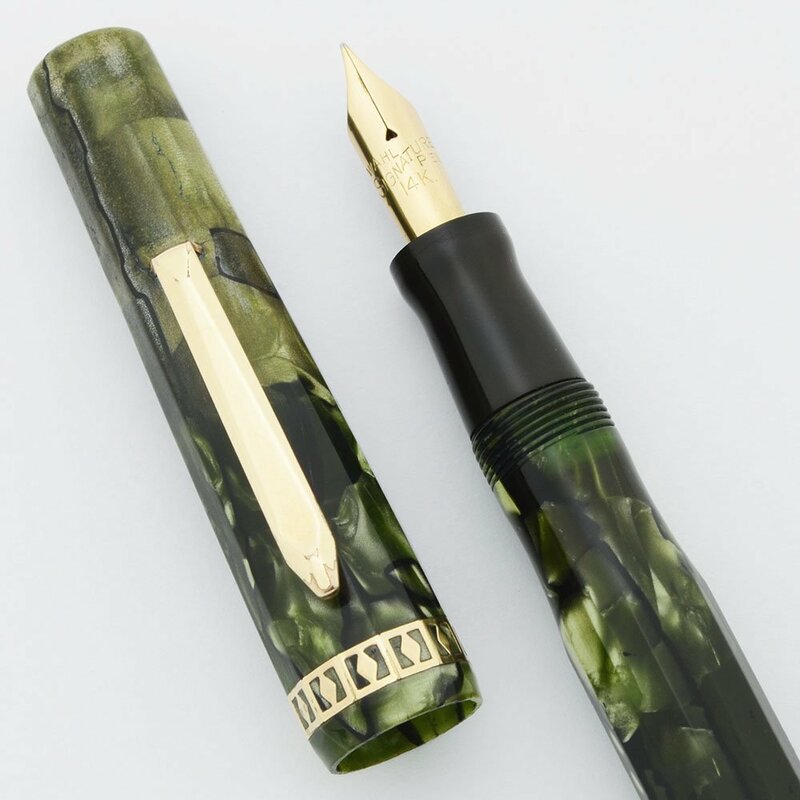 Color This pen is "Kashmir Green," a marbled green material with gold plated trim. The trim includes a straight-style clip and a 1/8" cap band with cut outs. The pen is faceted. Nib FINE FLEXIBLE Eversharp Signature nib. The tines aren't particularly soft but they do spread far enough for good line variation. The feed has an "F" on it. See writing sample below. Condition Very nice condition. The color is translucent. There is a single crack in the cap lip that goes until the opposite end of the cap band but not past it. 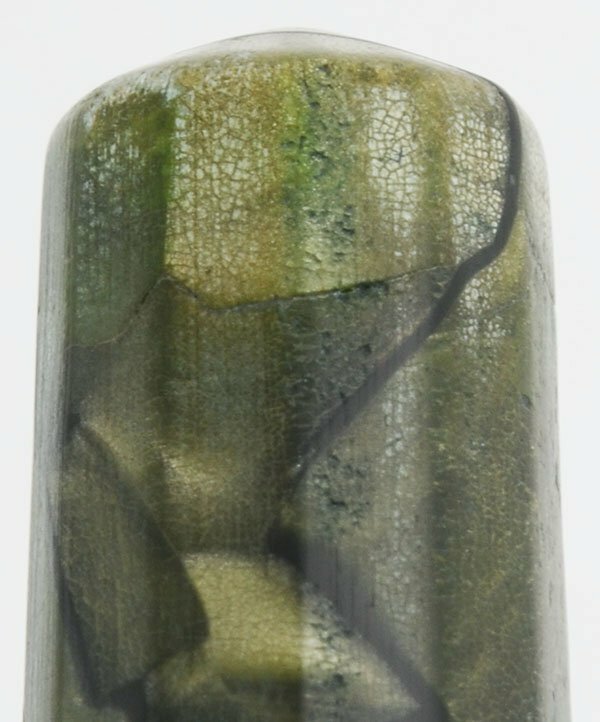 The green has faded some near the top of the cap, and there is general crazing on the surface. It's more present texturally than with the naked eye. There is slight brassing throughout the trim. 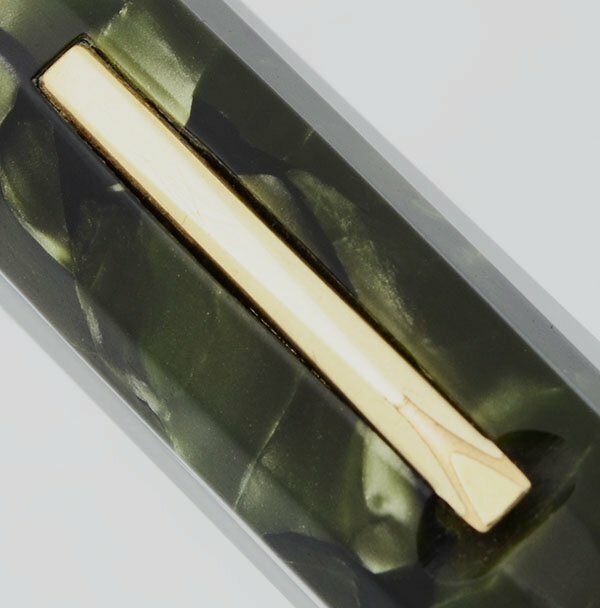 There are small marks throughout the pen including slightly worn faceted edges from posting. The cap imprint is completely legible. The pen is working well.